Thank you to everyone who took the time to nominate a favorite horse or person. I understand we received several and we’ll review at our next BOD meeting, April 21. Members are always welcome to join us at the meetings. Please contact me if you would like to attend. Would you like to serve on the Board of Directors? Do you want to make a difference? Have an idea or 3 that may make a difference in the future? Do you want to be a part of making this club the best it can be? We are now accepting nominations to serve on the board. Any position is open for the membership to vote on. Contact Carol Thompson, Lindsay Campbell or myself to get your name on the ballot. Those that have already contacted us need not do again. MEMBERSHIP RENEWAL! That time of year is right around the corner. Not competing? Stay in touch with a non-compete membership which includes voting rights. New to the sport? Join now so you and your equine partner receive recognition for all your completed competition miles. Speaking of membership, it’s growing! Welcome to Jenna Douglas and Pamela Crick! I met Jenna at the McCulley’s ride this past weekend. 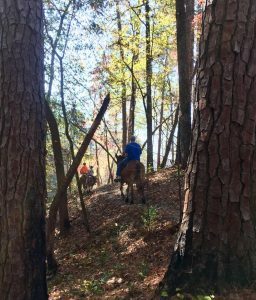 This is a great first ride venue with well- marked, beautiful trails, plenty of parking and covered stalls. There were several new riders enjoying the different options that were available to them. I believe all had a great time. Friday was a bit rainy but we persevered! By 1PM the rain cleared and cooler weather began to move in. Saturday’s weather made up for it all. It remained cool most of the day helping the horses and their riders stay refreshed. The government did us a favor by starting their control burn the week of the ride. Why? Because management re-routed the pine tree side making it so much more pleasant! 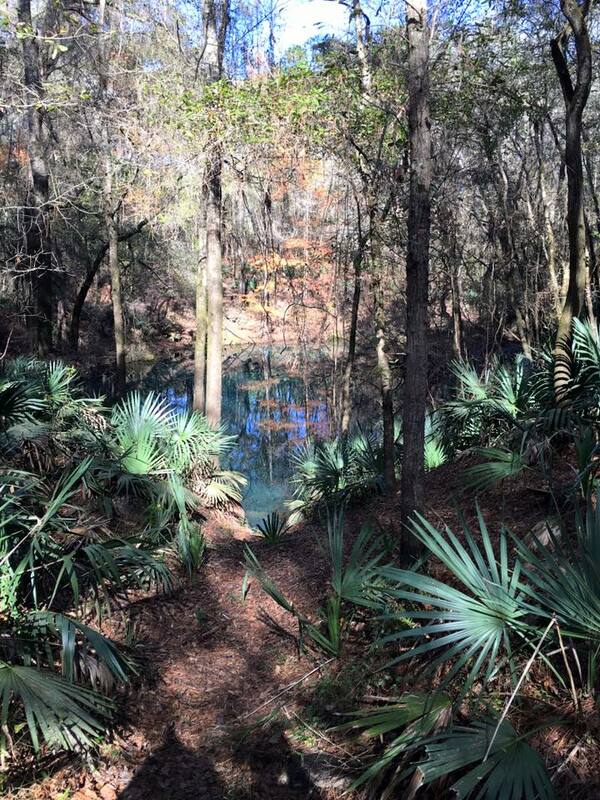 Rain or shine, the trails here are always beautiful. Trotting next to the river, sink holes, and the wildflowers that were in bloom was heavenly. Looking for photos go to Maria Phillips SmugMug website! This was Leah Greenleaf’s last year as ride manager. 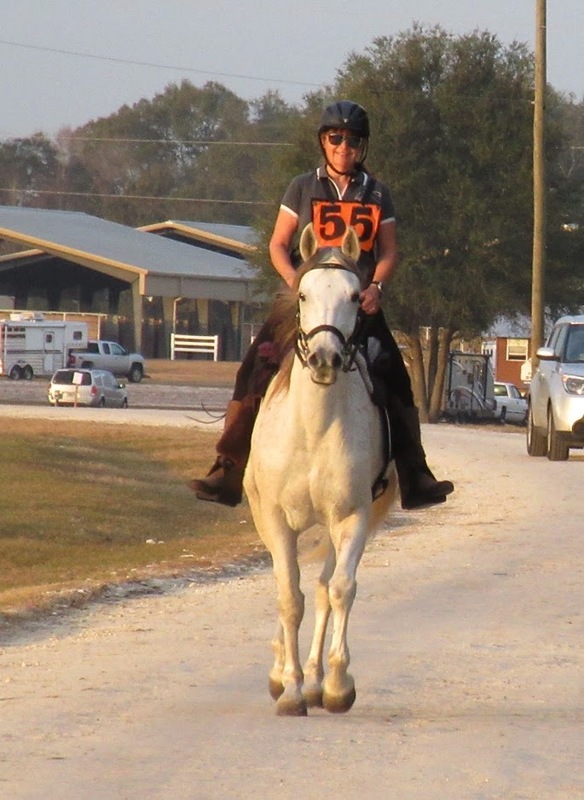 She has done an excellent job on both her rides and she deserves a round of applause! Thank you, Leah, for all you have done! The rides are not lost though because Penny Staffney will take over the McCulley’s ride and doesn’t plan on making any drastic changes (if it ain’t broke…) Doug Shearer has plans on taking on the end of the year ride. Both will be on our calendar soon if not already. We have 2 rides on our calendar for May 18-20 weekend. 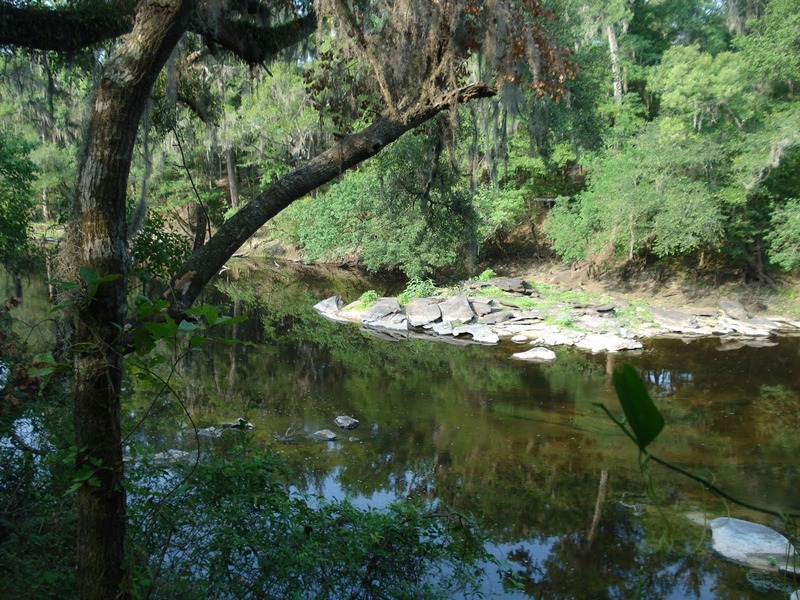 Scenic Spruce Creek in Florida and Bonita Lakes in Mississippi. 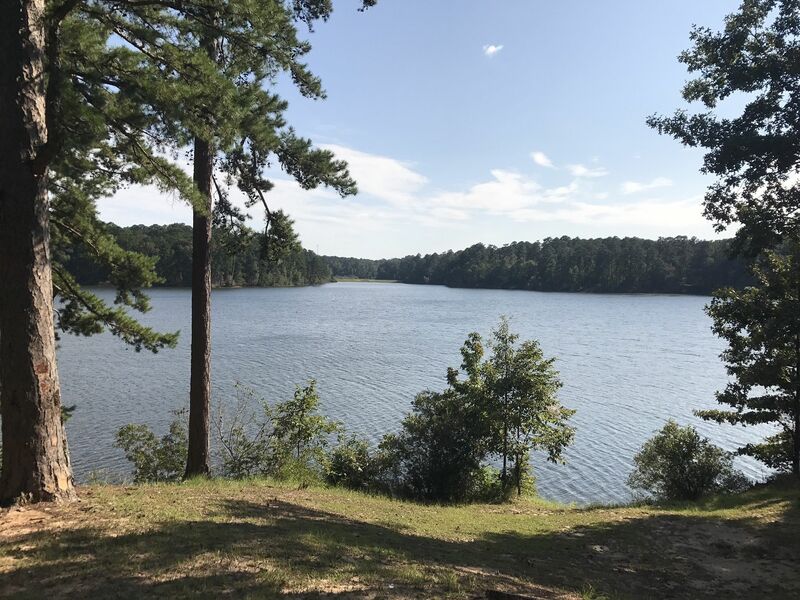 New ride manager Amy Middleton has shared the following about her ride in Mississippi, Bonita Lakes, occurring the weekend of May 18-19. If you are looking to try a new ride location; this sounds like a beautiful place to go. 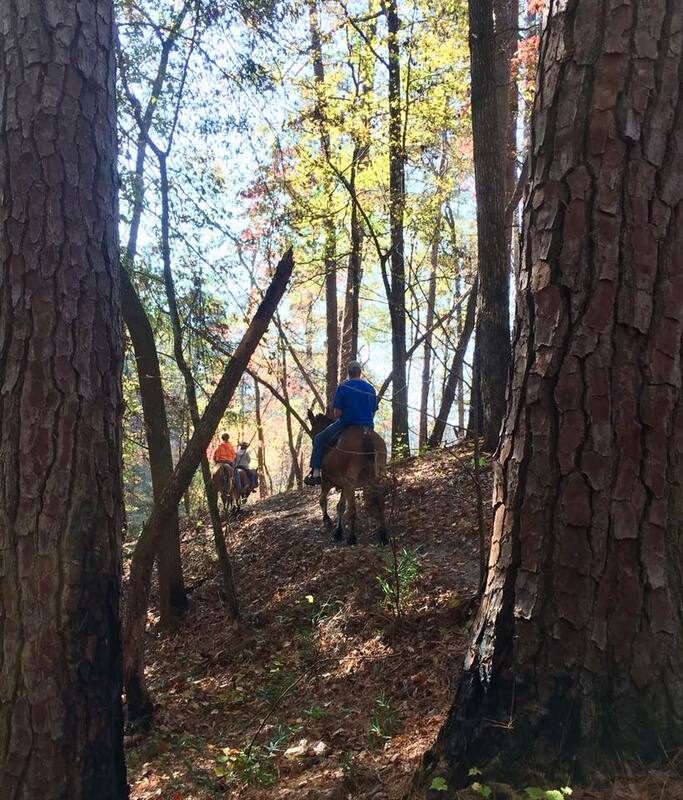 The Great State of Mississippi is making a comeback in the sport of Endurance riding. The AERC and SE Region members from our beautiful state are really putting in some man hours to ensure success. 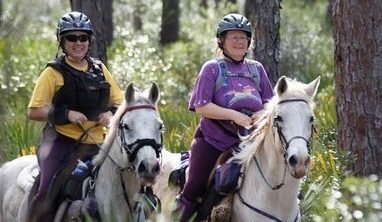 Ride Managers, Veteran Jane Lee and new ride manager, Amy Middleton, are bringing back two rides of old for 2018; Shockaloe and Witchdance, as well as, Hunting for Bigfoot and the brand new ride in the City of Meridian, MS on the city owned property known as Bonita Lakes. The City of Meridian has really done an outstanding job with this 3,300 acre property. It is nestled in the hills and meanders around the aptly named, Bonita Lakes. 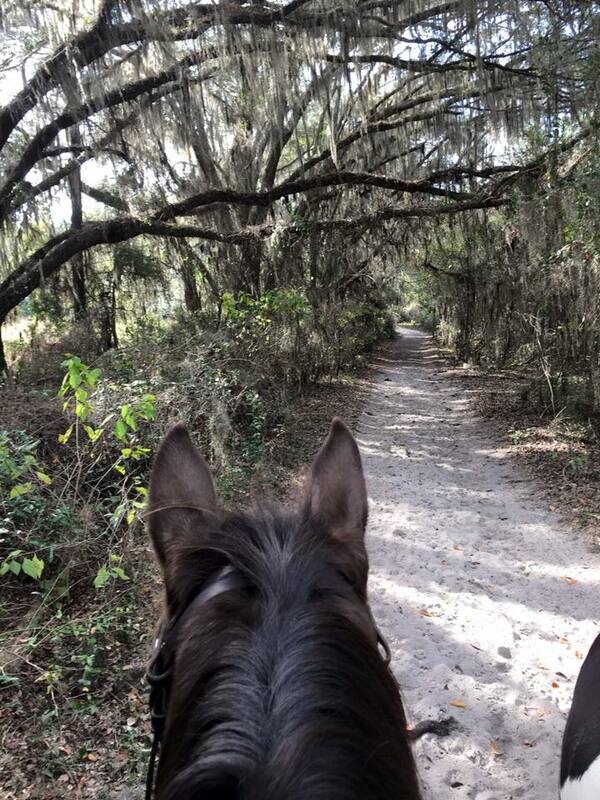 The Bonita Lakes Equestrian trails are over flat and hills along lake shore and thru single track wooded terrain. There is ample parking, wash bays, hook-ups and overnight boarding at the Lauderdale County Agriculture Center; which will serve as ride camp for the AERC rides on May 18 & 19, 2018. These ride days will consist of Intro / 25 / and 50 mile rides both days. Bonita Lakes is sanctioned by three different regional clubs; SEDRA / SERA / and TERA. Come get your miles! The awards will not disappoint. We have all the normal awards: Completion awards, Top Ten – all Distances, 1st place awards – all distances, High Vet Score, Best Conditioned. We have Junior awards, middle of the pack awards, 1st place in weight division awards, & turtle awards. 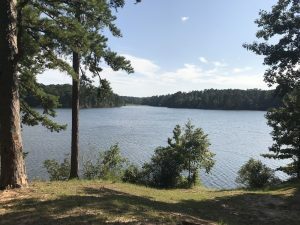 Come join us in the newest venue in the Southeast, and one of the most beautiful anywhere – Bonita Lakes 2018. Kudo’s to Cheryl Van Deusen! She is one determined lady! The Darleys, headlined by the HH Sheikha Fatima Bint Mubarak Darley Awards recognizes international women in Arabian Horse Racing. After being nominated for the Sheikha Fatima Bint Mubarak Darley Awards, Cheryl Van Deusen has made it to the top 3 in her category! Our very own Carol Thompson was recognized as the Volunteer Service Award winner at the AERC convention. I can’t think of anyone that is more deserving. I can count on 1 hand the number of rides I attended that Carol wasn’t there. Not only does she volunteer endlessly for AERC; she does so for SEDRA too. We would be lost on trail without her. Thank you Carol for everything you do! Another article I encourage you to read is When Endurance Horses Colic located on our FB SEDRA Chat Page. 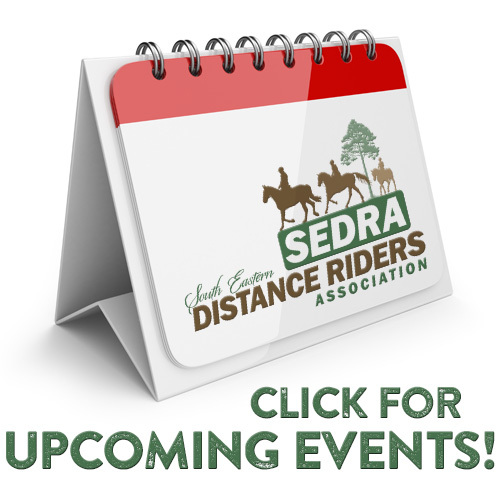 As Always, send your ride stories, articles or pictures to me at SEDRAPrez@gmail.com to include the newsletter.